Mesaba Country Club offers a number of special events and leagues that offer a wonderful opportunity to have fun playing golf. You will have a chance to get some valuable exercise and meet new acquaintances. 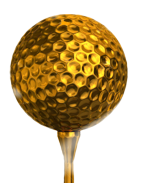 All members of the Mesaba Country are invited and encouraged to take part in our newest weekly golf event, Gold Tee Tuesdays. The format is individual stableford with an entry fee of $5 per week. There is also an optional $5 pins and skins game if you so choose. The first tee times will start at approx. 12:30 each Tuesday. Players should arrive by 12:15 to register. This is a great way to get to know many of your fellow members. Members of all ages or encouraged to participate. Experience for yourself the joy of shooting lower scores from the forward tees. 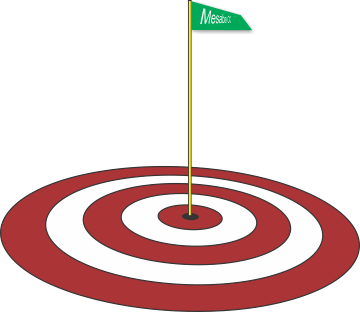 The Women's golf League is an organization of MCC women who are at least 18 years of age. The purpose is to socialize by scheduling organized golf pairings each Tuesday morning and to sponsor golf tournaments and special ladies golf events. The Women's Division also coordinates a Spring get together and a guest day for all the women of Mesaba Country Club. To be paired for Tuesday golf events membership in the Ladies Division is required. Membership dues are very nominal, and go towards the cost of the league expenses. 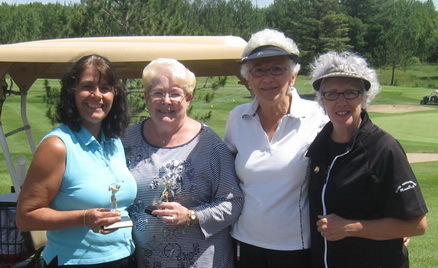 Every Tuesday between 8:00 and 12:00 is designated "Ladies Day" at Mesaba Country Club. The sign up sheet will be posted each week in the Ladies locker room. All MCC ladies are invited to participate in our Tuesday evening ladies group. Each Tuesday we have a block of tee times reserved between approx. 4:48 until 5:36 just for ladies. This is a great way to get to meet your fellow members. A very popular day at Mesaba is Thursday Men's Day. Each Thursday starting at the end of April from 11:00 until closing, is designated as Men's Day. Each regular group of players signs up for a tee time for an entire month at a time. The process involves calling the pro shop starting at 8:00 a.m. on the last Friday of the month for the next months tee times. For a nominal fee a member may take part in any of the Thursday games which are organized by the pro shop each week. Winners of the games will be issued pro shop credit. For any member who would like to play but needs a group to play with, please contact the pro shop and they will gladly find you a group to join. We invite you to come join us this season for couples Friday evening golf. We have scheduled five or six couples events for the summer, usually every 2nd or 3rd week. Tee times will be reserved from 4:15 until 5:15 for couples to sign up for. We encourage couples to sign up and let the committee pair you with another couple. Couples may also sign up as a foursome with another couple of your choosing if you prefer. We encourage members to invite guest couples, especially any perspective members. Your guests will receive a discounted rate for both guests fees and carts. There will be a game you can participate in for $5 per couple, with usually some form of scramble format. Upon completion of your round the restaurant will offer a great deal on their popular Friday night fish fry, or you may choose to order off the menu. Please call the pro shop to sign up at: 263-4826 for any events we have scheduled. Chairpersons for the events will be Brenda & Jon LaMusga & Don & RaChelle Foster. Another informal event that has grown in popularity is the weekly Sunday afternoon game. The events first tee times start at 1:00. Mesaba members throw $5 in the pot to participate. The purse is split between net skins (handicapped) and closet to the pins on the par threes. If you wish to participate you should show up by 12:45 to let the guys know you're in. © 2017 Mesaba Country Club. All rights reserved.